awfully big reviews: INVASION and THE QUEEN'S MAID - two short historicals by June Crebbin. Reviewed by Ann Turnbull. INVASION and THE QUEEN'S MAID - two short historicals by June Crebbin. Reviewed by Ann Turnbull. These two illustrated stories are each less than 100 pages long, and both bring well-known historical events to life for readers of around 7+. Invasion appears to be currently out of print but, if so, let's hope that Walker Books plan to reissue it. These are engaging, beautifully-written stories. INVASION by June Crebbin, illustrated by Tony Ross. Walker Books, 2008. Invasion is a story of the Battle of Hastings. 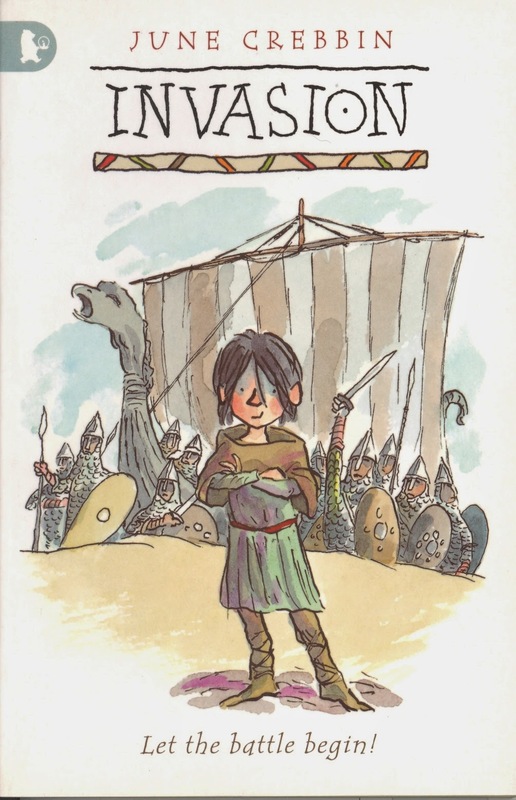 Unusually, it's told from the Norman point of view, and our hero, young Rollo, is a page who serves Duke William. Harold Godwinson is therefore seen as a usurper, and Hereward the Wake as a cunning enemy - his assassination attempt on William foiled by the quick-witted Rollo. Rollo has a special love of horses and helps care for them when the Norman army sets off across the Channel to invade England. He is constantly at his lord's side and always on hand when danger threatens - as it frequently does. I particularly liked this story because it's always interesting to see familiar events from a different point of view. There are delightfully witty illustrations by Tony Ross throughout. THE QUEEN'S MAID by June Crebbin, illustrated by James de la Rue. Walker Books, 2012. This story is set in 1588 when England was threatened by the Spanish Armada. The heroine, young Lady Jane, is a lively, intelligent girl who loves riding, writes poems and longs to perform in a play. 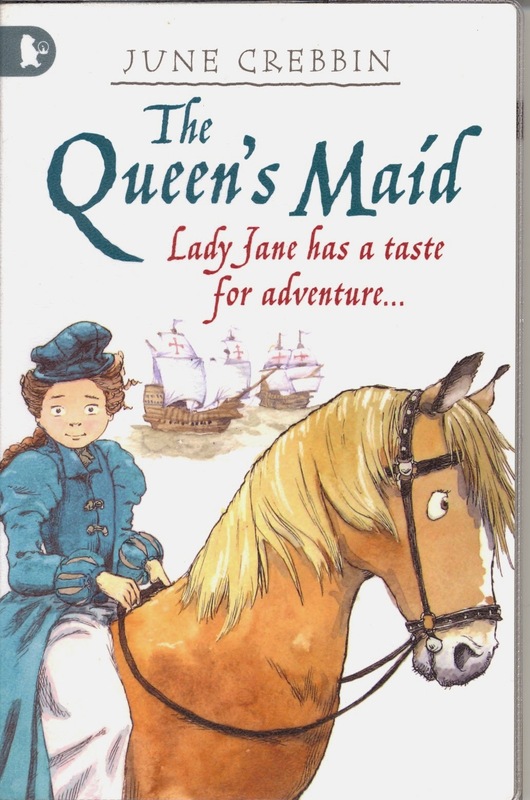 As a maid of honour to Queen Elizabeth, Jane is involved in a series of exciting adventures. When the Armada is sighted at Plymouth, Jane is there. Later she witnesses the fireships being sent amongst the Spanish fleet, and rides to London to take the news to the queen. She is at Tilbury when the queen makes her famous speech, and the story ends with Jane reciting her own poem The Scattering of the Armada. The illustrations by James de la Rue are fine line drawings with lots of detail and expressive faces. I especially liked the picture of the queen and Jane, both wide-eyed and gossiping, watched by a line of snooty-looking maids of honour.